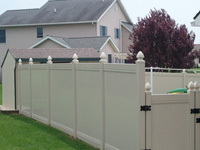 Those searching for a fence installation company in Lebanon County are most likely looking to achieve two things: beauty and peace-of-mind. Hitz Fence Supplies helps home and business owners protect their privacy, property line and add an aesthetic that can enhance property value. 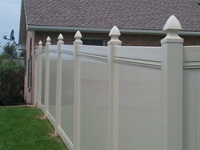 And with so many types of fence to choose from, you can decide what fence design works best for your style and budget! For instance, a chain link fence is perfect for boxing out unwanted creatures and discouraging unwanted trespassers, but is inherently transparent. Where a vinyl fence design is better suited for property owners looking for a visual barrier as well as an aesthetic surrounding for their property. 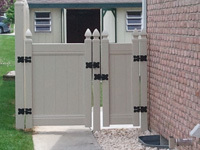 At Hitz Fence in Lebanon, PA, we’ll help you discover which fence style is right for you! We also sell and install aluminum railings, decking lumber, as well as vinyl porch and deck rails. No matter the project you’re about to tackle, we’re here to help in Lebanon and surrounding counties.